The first and last words on the subject, I took a while off from brewing, but I’m back at it. Here’s what I’ve been up to, since being back brewing. 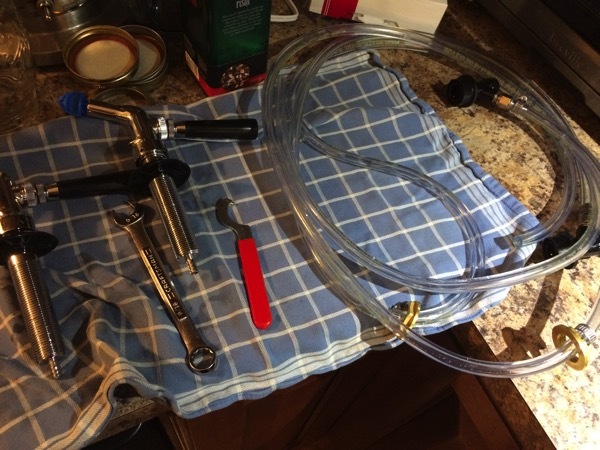 Replacing my keggerator lines and cleaning taps. Initially built it 3.5 years ago, line replacement was overdue, they were yellowed with hop oils and other build up. They were not cleaned nearly often enough, but such is the life of a infrequently used keggerator. I am considering a different setup, but haven’t worked out the details. I like the capacity for cold kegs, and carbing and such, but maybe a dorm fridge setup? Then convert the freezer into a ferm chamber. I just want to be able to serve two kegs, but really only need to have one functional tap. Bottle washing… multiple hours + a large number of randomly sized bottles, rinsed, but not cleaned, or delabeled bottles needed cleaning. 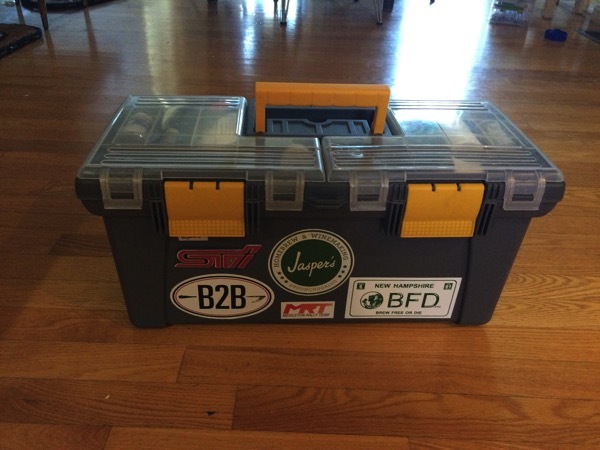 Now that I’ve got those done, I’m ready to complete some transfers. I’ve got three beers that need to be packaged or transferred or conditioned. Last years RIS needs to be bottled, It’s currently in a keg in the keggerator carbonating. The coolership grapefruit ‘saison’ I made, which is now over a year old, and was just bottled, and just needs some conditioning. I’ve also got a 4g batch of berliner that I finished with brett, that needs to be split and fruited (1/2 currant / 1/2 strawberry black berry rhubarb), then bottled in about a month. I don’t have enough heavy glass, and I”ve been quite disappointed with the 500ml bottles I purchased for this use. I guess I need to to finish up some of the gose, berliner, and saison currently occupying those bottles. Then more washing. Brewing, yes, I actually said I was brewing again. I brewed a batch based on Tasty’s session pale ale. My recipe is a variation, on the base bones. I used the base malts I had on hand, the biggest substations were hop varieties, and Oats in place of c-pills. Brew session was uneventful, no major screw ups aside from the ziplock bag melted to the burner during heating strike. I’m not sure how I managed that, but burnt plastic is a wonderful post christmas smell. Batch Size : 2.00 gal 69.0 IBUs Estimated. 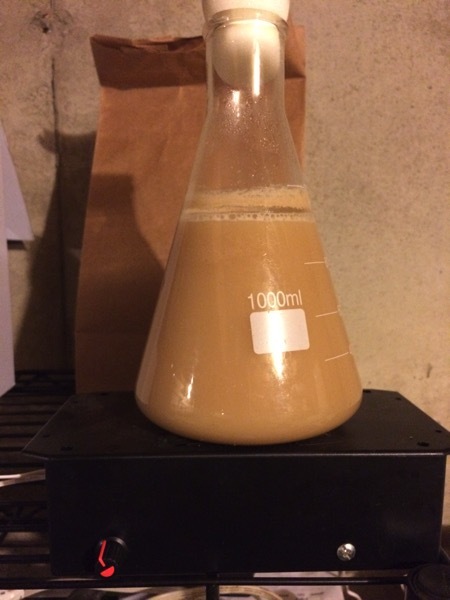 Next batch for 2015 was a simple saison recipe. I’m trying to achieve a crisp, pale, dry saison, akin to Saison brett, but w/a lower abv. Boulevard’s Saison Brett is one of my all time favorite beers, but at 9%, It’s not something I need a real quantity of. I did my usual research, it seems there are two fairly well known things about saison brett. First it’s almost the same as tank 7 saison, but is mashed different to finish lower. The second is that Steven Pauwels Boulevard Head brewmaster has shared the tank 7 recipe a number of times. http://www.homebrewtalk.com/showthread.php?t=250256. Just like Tasty’s pale ale recipe above, I didn’t brew the given recipe verbatim. I was riffing on the idea of a brett finished saison, with amarillo hops. In another inspired moment, by bio transformation, brett, and buckwheat. I wanted to brew a buckwheat saison. For details on that type stuff, see Mad Fermentationist, http://www.themadfermentationist.com/2011/05/buckwheat-sour-amber-ale-recipe.html and Derek at Bear flavored http://www.bear-flavored.com/2015/07/buckwheat-sour-saison-recipe-brewing.html. Also… Buckwheat has a precursor called capric acid, Capri, being ‘goat’, and the brand ambassador from Boulevard has a bit of a thing for goats which I couldn’t overlook. Temps for the cereal mash / gelatinization temperatures can be found in derek’s blogs above. 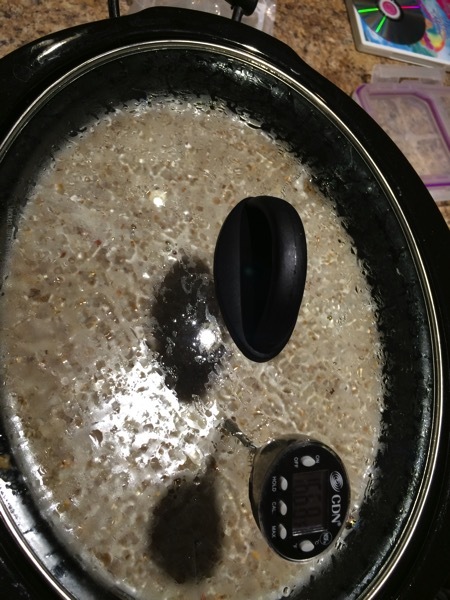 I used a slow cooker for them,followed by a long and low mash, to ensure a highly fermentable wort. Once fermented, I’ll pitch a healthy dose of brett c, and give it a month or two to age. I used the stall happy dupont saison yeast, so I’m also taking a few additional precautions to ensure a complete fermentation. Low scarification temp, Healthy 1l yeast starter in a 2g batch of very well aerated wort, in a loosely covered fermentor. While the yeast is working, I’m going to be actively pushing the temp from 66 pitch temp, to a peak of 85 over the course of the next week or so. Which I’ll follow up by pitching brett C, into in secondary. Once secondary is nearly complete (3 weeks) I’ll dry hop with more amarillo, and bottle in some high pressure glass, and hope for the best. Batch Size : 2.00 gal 36.6 IBUs Estimated. I am following up the buckwheat version with a corn grit version, the only change is swapping corn grits in for the buckwheat. I’m very eager to see the differences in these two beers. I don’t think I’ve controlled the variables this tightly since I tried to nail daisy cutter. I won’t have results for another few months, between primary, brett secondary, then dry hop, but should be a great spring beer, if it finishes how I hope it does. It’s really good to be back at it, I’ve been missing brewing, I’ve missed writing, and getting feedback, I’ve missed the constructive outlet, but haven’t had the free time, or the inclination to do it for a while. I’m going to skip the 2015 full recap (the summer recap was up for 7 months) and goals for now, perhaps a future update will shed some light into what has and has not progressed. Safe to say, I’m still a work in progress.